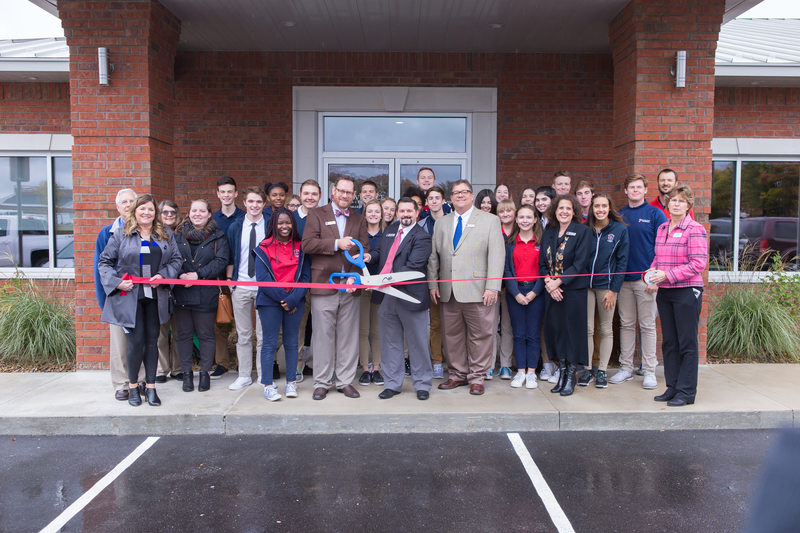 Providence Classical Christian Academy (Rogers, AR) opened a new leased space for our growing Upper School body. It is called the Patriot Collegiate Center. 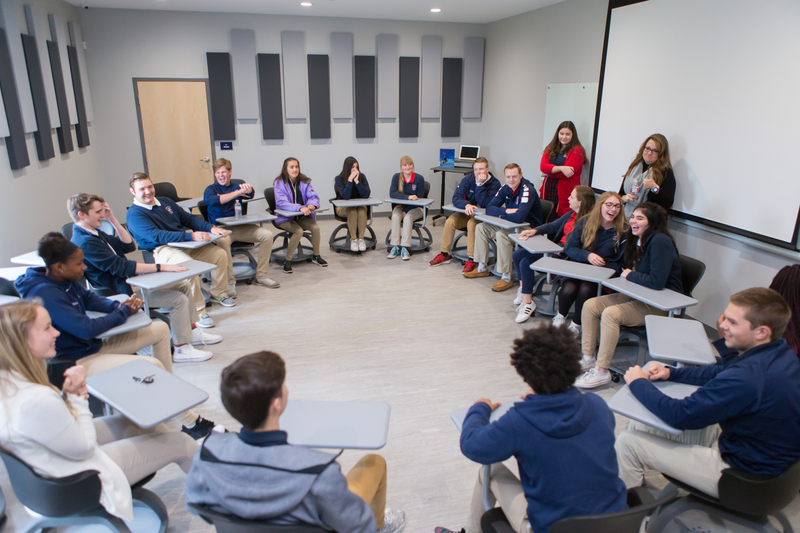 There are 5 classrooms, including a collaboration room with special ethos chairs that facilitate flexibility in configuring the room quickly, as well as our New Creation STEM Lab, an innovation science lab. Also in the P.C.C. 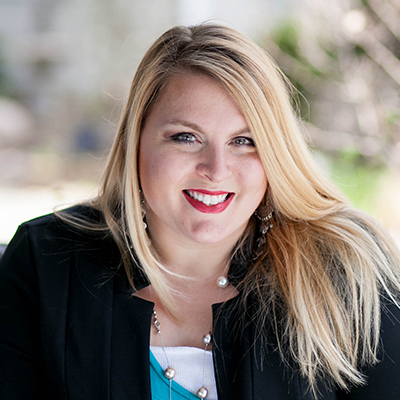 is an Alumni Hall, where graduating class photos will be hung, the Advancement Office, and a wall of recognition for our annual award, the Mike Duke Christian Leadership Award. More than $121,000 was donated by Providence Academy stakeholders toward the build-out of this new learning center. 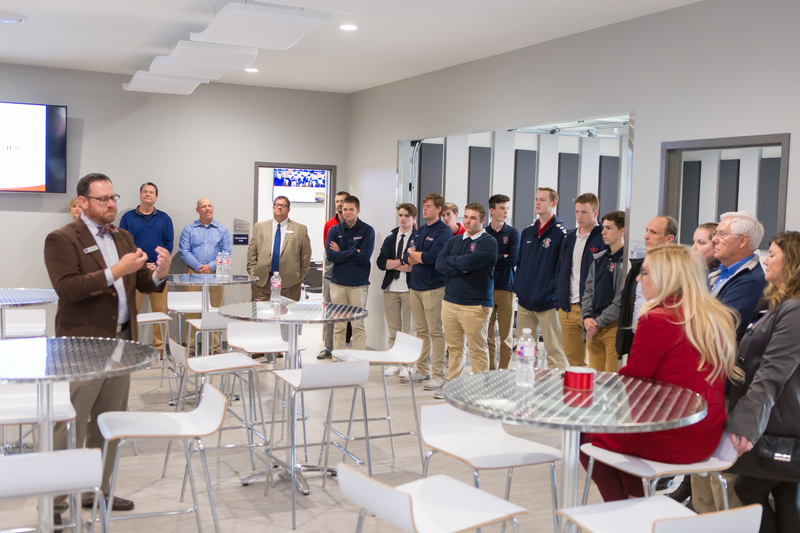 The Patriot Collegiate Center ribbon-cutting and open house were hosted on November 1. The first day of classes in the Patriot Collegiate Center was November 18. The PCCA community celebrates what the Lord has accomplished in expanding the ministry at Providence Academy, which is blessed with more than 550 students school wide.